Vorträge | Vogelspinnen IG Stuttgart/Ludwigsburg e.V. André Leetz beobachtet, sammelt, vermehrt und hält seit vielen Jahren unzählige Spinnen(-arten). Vor allem auch „moderne“ Spinnen, also araneomorphe Spinnen. Dementsprechend umfangreich ist sein Wissen über diese Tiere. Zusätzlich fertigt André fantastische Aufnahmen von Spinnen an. Der Aspekt der Matriphagie, also des Auffressens der Mutter durch die Jungtiere, ist ein weiteres faszinierendes Detail über die Spinnen. Volker Harport ist ein Tierpfleger mit Leib und Seele, der auch in die Herkunftsgebiete seiner Pfleglinge reist. Neben den Elefanten findet er dort auch seine weiteren „Lieblingstiere“ - die Vogelspinnen, vor allem der Gattung Poecilotheria. Aber sicherlich erwarten uns bei diesem Reisebericht einige weitere Tiergruppen. Freitag, 28.09.2018Achtung Vortrag findet leider nicht statt! 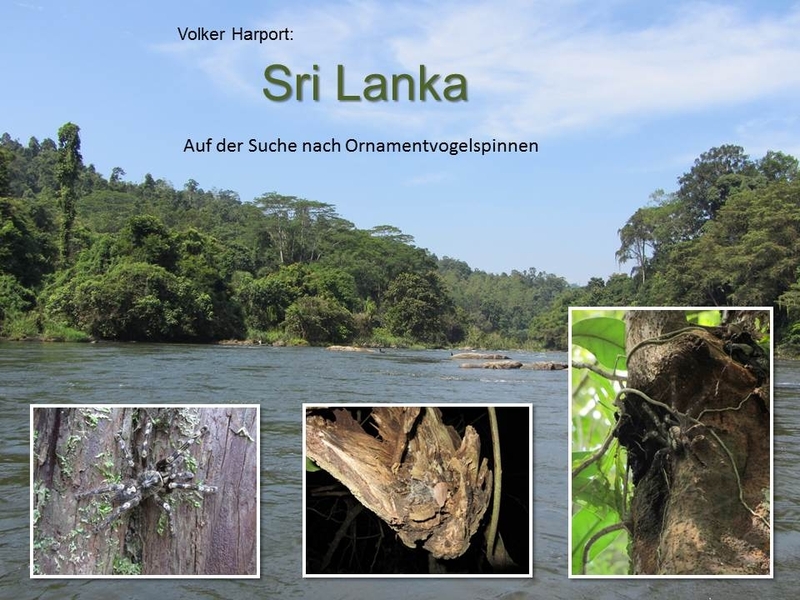 "Tarantula burrows - shape, structure and contents"
"Vogelspinnenhöhlen - Form, Struktur und Inhalt"
Ray Gabriel is going to tell us about the different types of tarantula burrows; what they look like and what kind of shapes they come in. But also about the animals that live in them; and in some cases this is not only tarantulas. Bei diesem Vortrag wird uns Ray Gabriel von den verschiedenen Vogelspinnenbauten berichten. Neben der Ausformung und der Struktur der Höhlen wird es auch um deren Bewohner gehen und dies sind nicht in allen Fällen nur Vogelspinnen. M. en C. Jorge I. Mendoza Marroquín wird unter anderem über die von ihm in Mexiko gefundenen, bisher unbekannten Arten referieren. Obwohl Mexiko offiziell mit 16 Gattungen und 90 Arten bereits die größte Anzahl an beschriebenen Vogelspinnen aller Nationen weltweit hat, werden immer noch neue Arten und sogar Gattungen entdeckt. 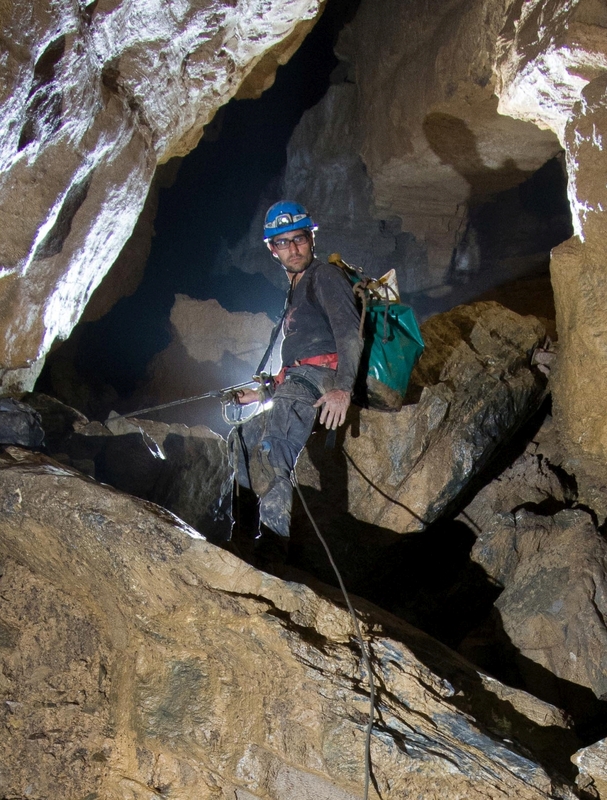 Auch gibt es bei den verwandtschaftlichen Beziehungen und der Systematik in der Gruppe nach wie vor Irrungen und Wirrungen zu deren Aufklärung Mendoza maßgeblich beiträgt. Daher werden wir etwas über die Revisionen der Gattungen Hemirrhagus, Bonnetina, Crassicrus und Brachypelma erfahren. Mexico has the second highest number of formally described tarantula species worldwide, with 16 genera and 90 species (World Spider Catalog 2017). 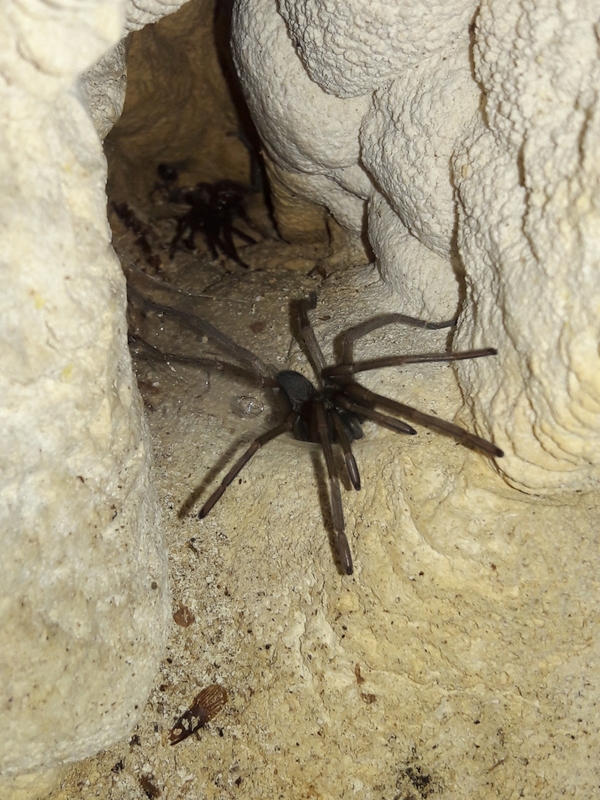 Despite this, Mexican theraphosid spiders have been poorly studied and it is common to find undescribed species and novel genera (Vol 1999, 2000, 2001; Locht et al. 2005; Locht, 2008; Locht & Medina 2008; Mendoza 2012a, 2012b, 2014a, 2014b, Mendoza et al. 2016; Schmidt 2012; Estrada-Alvarez 2014; Ortiz & Francke 2014; Pérez-Miles & Locht 2003). It is common to find in the scientific collections a large number of specimens of tarantulas that are wrong defined or without collection data, which makes it very difficult to establish their taxonomic status. In addition, the taxonomy of this group is extremely complicated which has led to continuous changes and disagreements among the specialists of the group (Schiapelli & Gerschman de Pikelinn 1979; Raven 1985; Smith 1994). However, in recent decades, phylogenetic studies have been published that are helping to clarify the systematics and make the classification of this family more natural (Pérez-Miles et al. 1996, Bertani 2001; Pérez-Miles & Locht 2003, Guadanucci 2013, West & Nunn 2013). 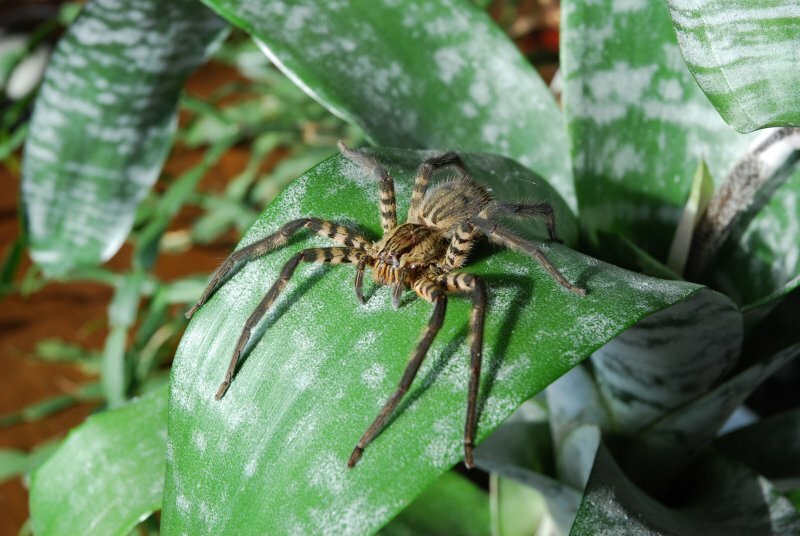 This gradual increase in the number of genera and species described shows that a large number of tarantula taxa are expected to be discovered (Pérez-Miles 2000). 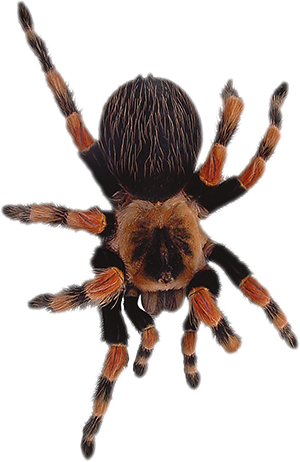 In the case of Mexican tarantulas there are very few studies done so it is common to find genus and species unknown to science. It is necessary to carry out studies within scientific collections and collection trips to know the diversity of Mexican tarantulas. 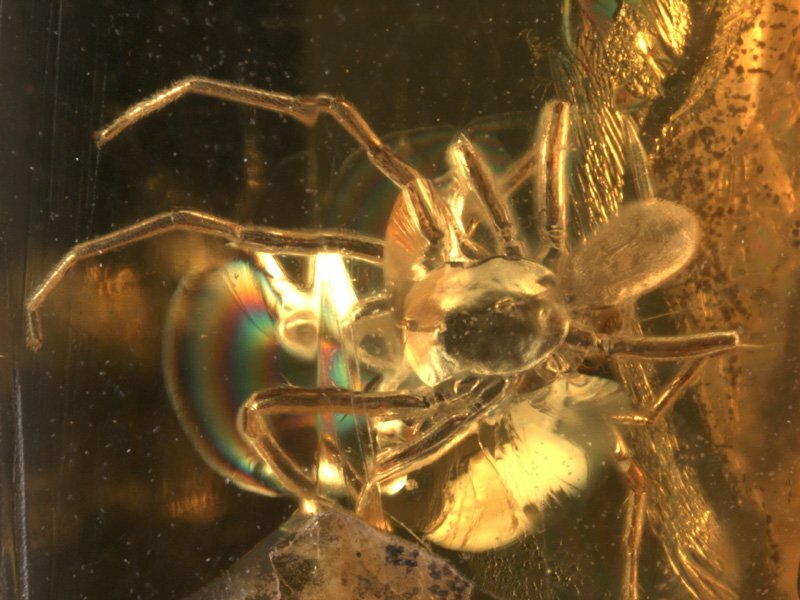 This is precisely what is being carried out in the National Arachnids Collection (Colección Nacional de Arácnidos) of the Biology Institute of the UNAM, where systematic research projects, using morphological and genetic characters, are being carried out by genus to know their internal relationships, as well as descriptions of new species. In Mexico, tarantulas can be found in arid zones, forests, grasslands, jungles and even deep in caves. 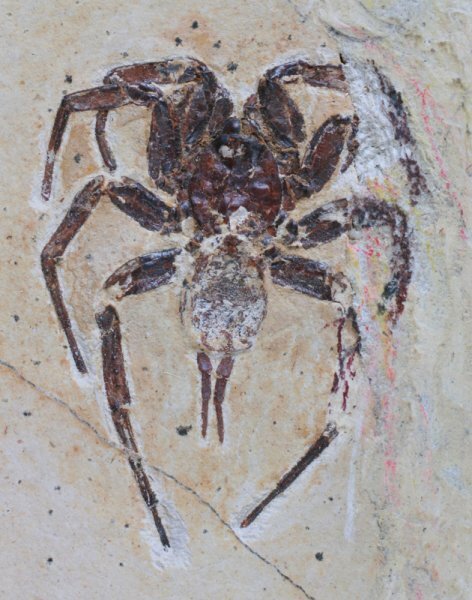 Some of the latest and more important theraphosid revisions made at the National Collection of Arachids are the revisions of the genus Hemirrhagus, Bonnetina, Crassicrus and Brachypelma. Other remarkable works done are the description of the genus Cotztetlana Mendoza 2012 (Mexican fat legs tarantulas) and the recently described Magnacarina Mendoza, Locht, Kaderka, Medina & Pérez-Miles 2016. During 2009, I collect an arboreal tarantula from Veracruz, which fits with the diagnosis of Psalmopoeus but differs from all known species. This finding confirms the presence of this arboreal genus in Mexico and North America and suggests that it is a new species. 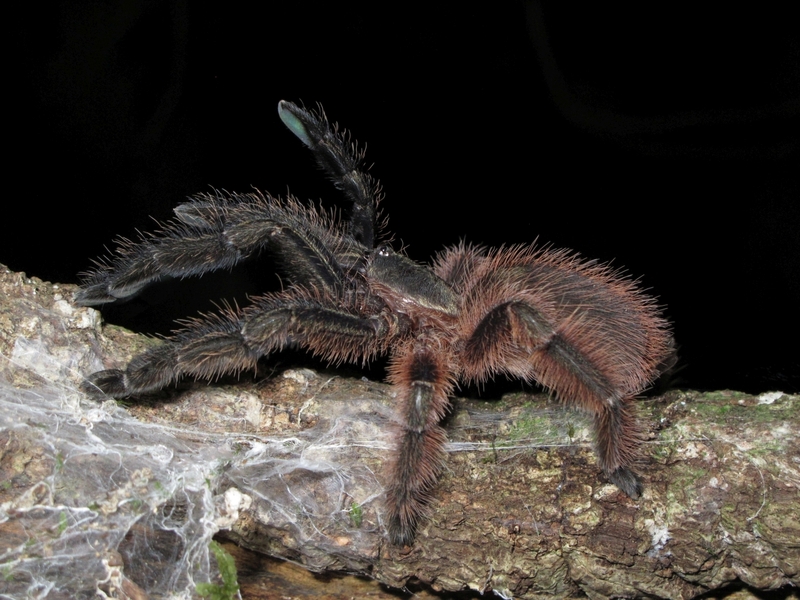 The species was the first truly arboreal tarantula to be formally described for México, named as Psalmopoeus victori Mendoza 2014. 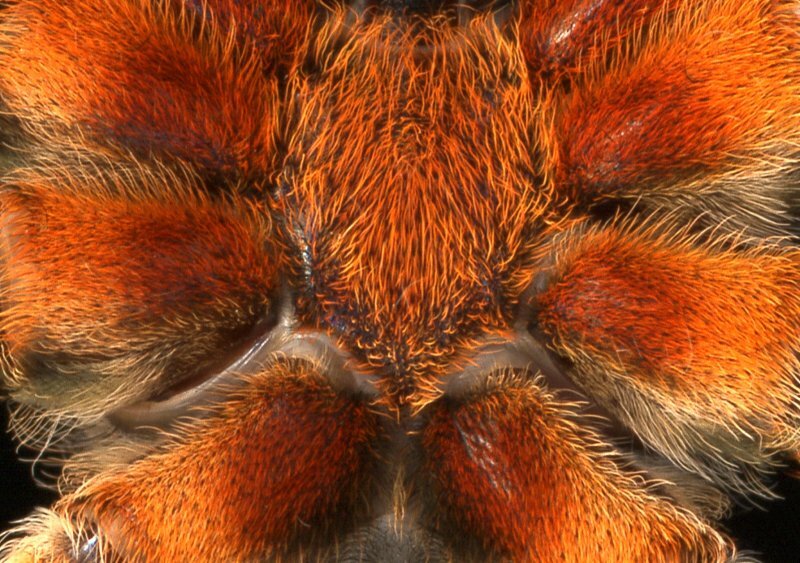 Actually, we are working with undescribed species of Psalmopoeus, Hemirrhagus, Cotztetlana, Magnacarina, Cardiopelma, Schizopelma and Brachypelma, also with other undescribed genus. In addition, I am implementing strategies for conservation and legal reproduction of Mexican tarantulas. Professor Barth ist ein weltweit anerkannter Arachnologe und Neurobiologe. 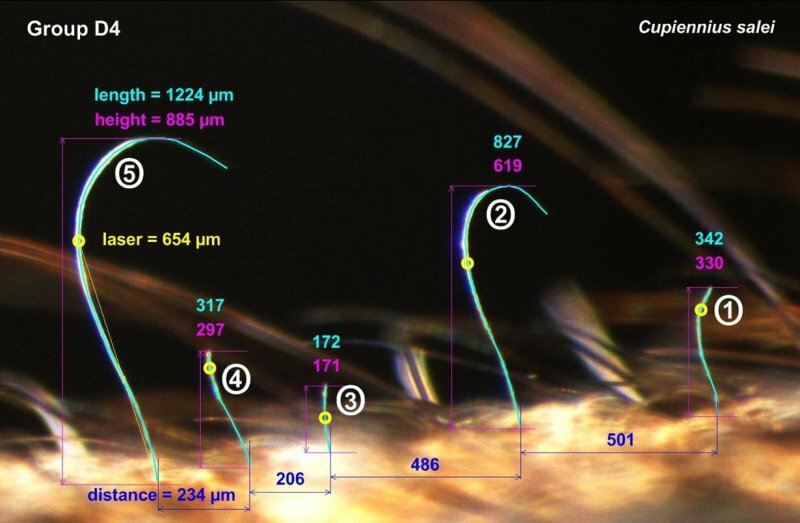 Er untersucht unter anderem von Mechanorezeptoren gesteuertes Verhalten bei araneomorphen Spinnen und den Aufbau von deren mechanischen Rezeptoren wie z.B. der Sinneshaare. Viele der Ergebnisse vor allem aus der Arbeit mit der Spinnenart Cupiennius salei hat er in dem wichtigen Buch "Sinne und Verhalten - aus dem Leben einer Spinne" zusammengefasst und einem breiten Publikum zugänglich gemacht. Professor Barth is a worldwide reknown arachnologist and neurobiologist. He is studying the behavior of araneomorph spiders that is triggered by their mechanoreceptors and also the structure of these mechanoreceptors e.g. trichobothria. 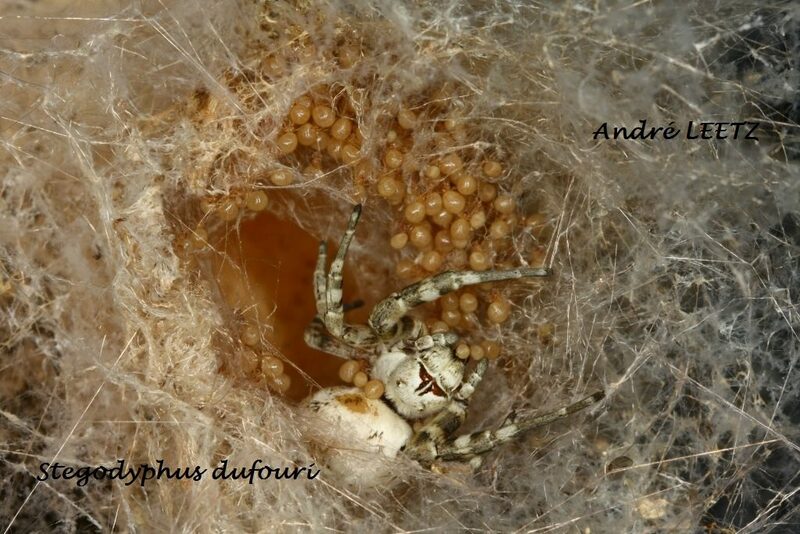 A lot of his work especially with the spider species Cupiennius salei has been published in the book "A spider’s world: senses and behavior" and is thus accessible for a larger group of people including the hobby arachnolgists. 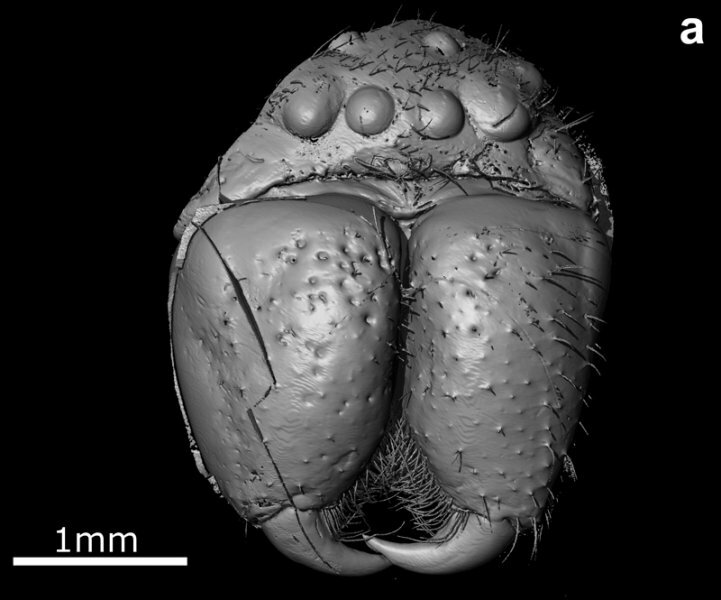 The genus Avicularia Lamarck, 1818 was described by Lamarck (1818) and its type species Avicularia avicularia (Linnaeus, 1758) is the oldest mygalomorph species known.Thus, its taxonomical history is very extensive and confusing and reflects the knowledge in arachnology through the centuries.To date the genus Avicularia has 49 species and is recorded from Panama through Trinidad Island, Cuba, Puerto Rico and Martinique, Guadeloupe to Venezuela, Colombia, Peru, Ecuador, Bolivia, Guiana, French Guiana, Suriname, Chile and Brazil (Platnick 2015). Despite presenting a large number of species and having historical importance, the genus has not been revised. Until now only shorter taxonomical works were published with exception of Bertani & Fukushima (2009), which discuss some aspects of behavior, distribution and conservation of Avicularia species. The presence of 31 nomina dubia and 3 nomina nuda (Platnick 2015) plus the presence of many valid species that are not well studied, reinforce the need to review this genus. Due to this a taxonomical revision of the genus Avicularia was done and for the first time a phylogenetic hypothesis including all Avicularia species was proposed.In addition to these taxa the cladistic analysis also includes species belonging to 7 out of 8 Theraphosid subfamilies recognized by Raven (1985), species of all Aviculariinae genera and some other available arboreal taxa with uncertain position such as Poecilotheria Simon, 1885, Heteroscodra Pocock, 1899 and Stromatopelma Karsch, 1881. Mainly morphological characters have been used in the revision, but some ecological and behavioral characters were also included in the analysis. The genus Avicularia resulted monophyletic as well as the subfamily Aviculariinae. Some taxonomical changes and synonymies are proposed and new species are described. Furthermore, based on cladistics analysis, some new Aviculariinae genera are proposed. 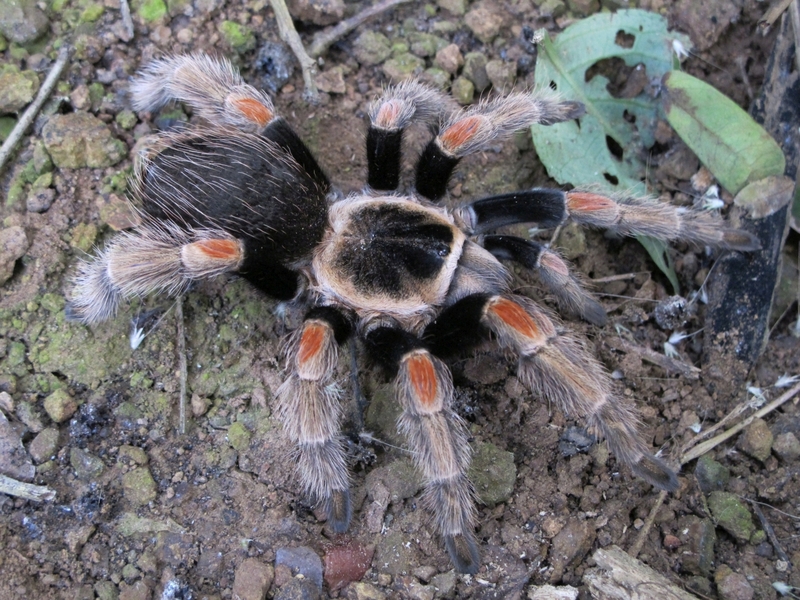 Stromatopelma calceatum (Fabricius, 1793), formerly Scodra griseipes (Pocock, 1897), (Mygalomorphae, Theraphosidae) of the Lamto savannah ecosystem (Ivory Coast) . Tarantulas venoms and human envenomations. During months of 1971 summer I have been in the biological research station of Lamto (Ivory Coast) to observe spiders in their wild environment and to try the rearings of a few species chosen among the most representative of the ecosystem of the savannahs. The Palm-tree tarantula "Scodra griseipes/ Stromatopelma calceatum" had been included in the study of energy budgets that I had to compare for different species. The work lead to two complementary thesis : " Blandin and Célérier, 1981. 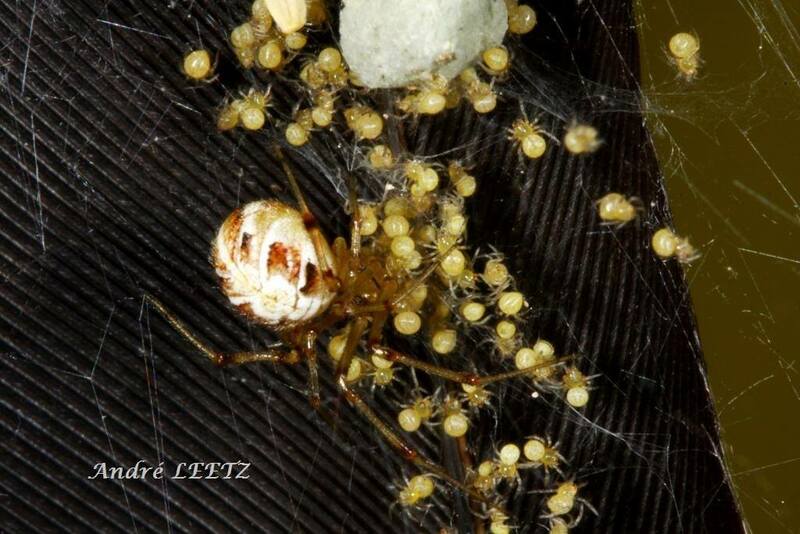 The spiders from Lamto savannahs (Ivory Coast), organisation of the populations, energy budgets, place in the ecosystem ". The thesis was published (in French): Ecole Normale Supérieure, Publications du Laboratoire de Zoologie, N°21, 1981, 2 fasc., 586pp. 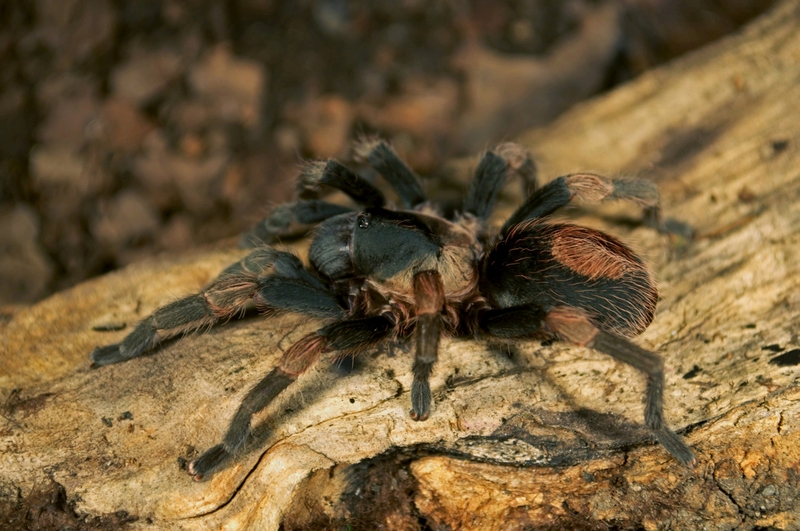 The arboreal tarantulas were kept and studied under laboratory conditions until 2006 at the University of Paris 6 (Pierre and Marie Curie), so an experience of more than 35 years with the species. Different results will be presented. The problem around effects in humans of the bite from tarantulas will be also approached. Dr. Jason Dunlop:Woher stammen Spinnen? Ein paläontologische Zeitreise. Spinnen sind eine uralte Gruppe, die wir über 300 Millionen Jahre anhand von seltenen, aber oft spektakulären Fossilfunden zurückverfolgen können.Dieser Vortrag erzählt die Geschichte der Spinnen von dem möglichen Ursprung der Spinnentiere im kambrischen Meer bis zum Landgang im Silur/Devon und die ersten Nachweise für echte Gliederspinnen am Ende des Karbons.Zwischen Irrtümern und Falschbestimmungen können Paläontologen den Ablauf der Evolution Stück für Stück rekonstruieren. 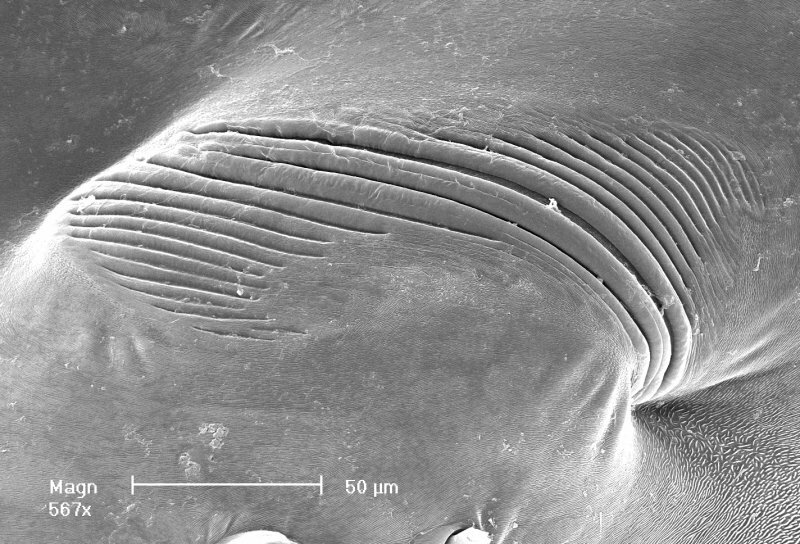 Im Trias tauchen die ersten Vertreter der Mygalomorpha und Araneomorpha auf. Neufunde aus dem Jura von China sind besonders wichtige Zeitzeugen. Es ist denkbar, dass die blühenden Pflanzen eine große Rolle gespielt haben, indem sie die Evolution der bestäubenden Insekten gefördert und neue Nahrungsquellen für Spinnen verschafft haben. Ab der Kreidezeit bietet Bernstein einen Reichtum an Material, wobei neue Techniken wie die Computer Tomographie einen neuen Blick in die Welt der Spinnen erlauben. Manche Spinnen, wie die Springspinne, sind offensichtlich ‚Spätentwickler‘ und sind nur ab dem Eozän bekannt.